P&G serves consumers around the world with products sold in more than 180 countries and territories and has approximately 130 manufacturing sites in over 35 countries. 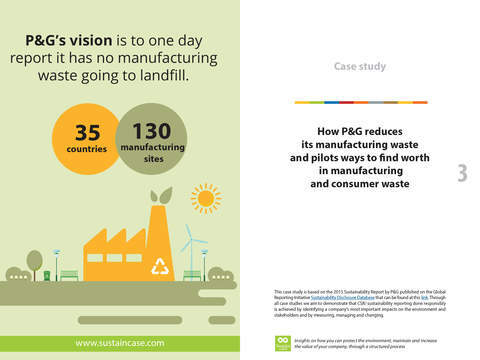 Thus, it strives to eliminate manufacturing waste to landfill and explores partnerships to help P&G better understand how it can recover greater value from post-consumer waste and ultimately help eliminate solid waste to landfill. 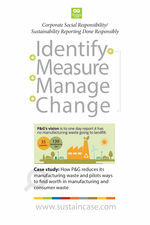 P&G’s vision is to one day report it has no manufacturing waste going to landfill. Tweet This! 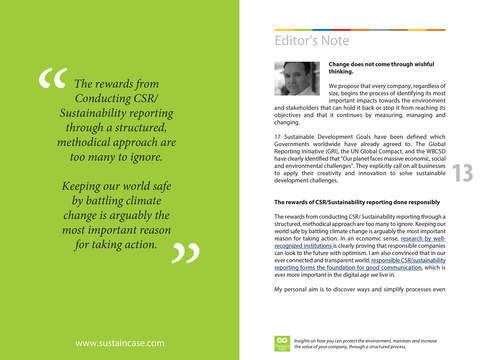 At the end of life, whether that’s after a product has been used or after a material has gone through its manufacturing process, P&G believes there is a way to create worth from what’s left through reuse, recycling, composting or converting waste to energy. 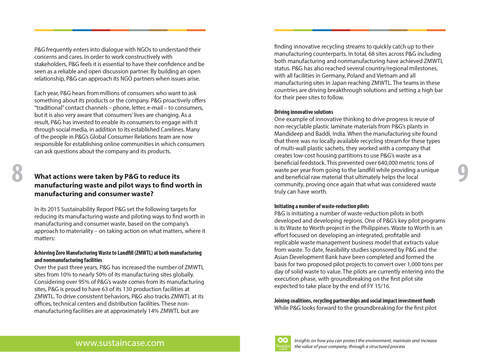 After measuring and setting targets, P&G took action to achieve Zero Manufacturing Waste to Landfill (ZMWTL) at both manufacturing and non-manufacturing facilities, drive innovative solutions, initiate a number of waste-reduction pilots such as the Waste to Worth project in the Philippines and join coalitions, recycling partnerships and social impact investment funds.